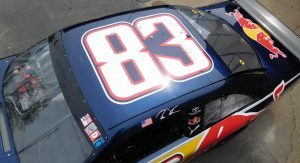 You Know What’s Better Than Watching NASCAR? 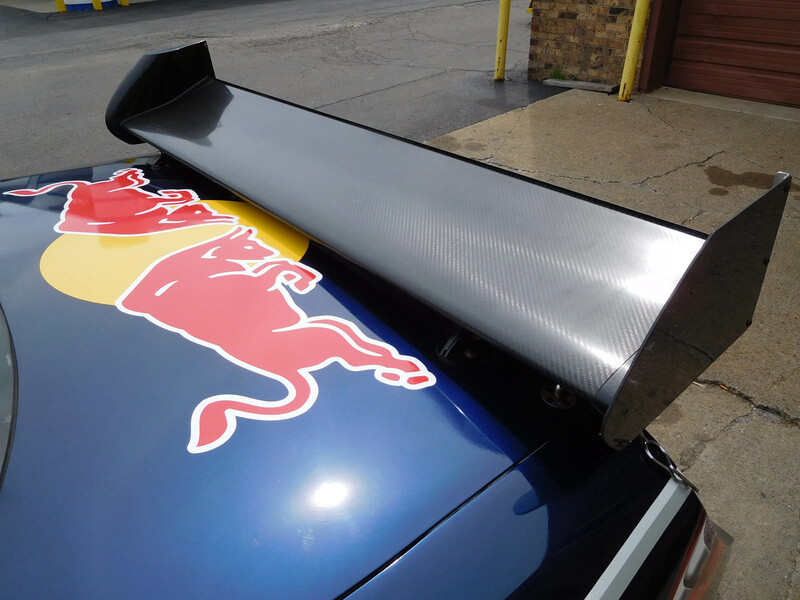 Owning One! 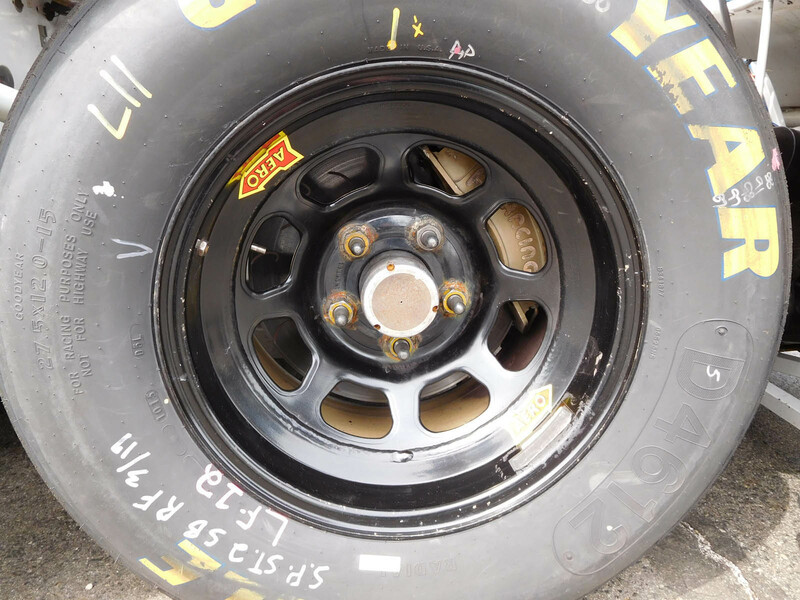 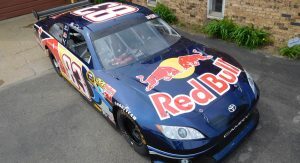 You may be a NASCAR fan or not, but either way, you have to admit there’s got to be something to it. 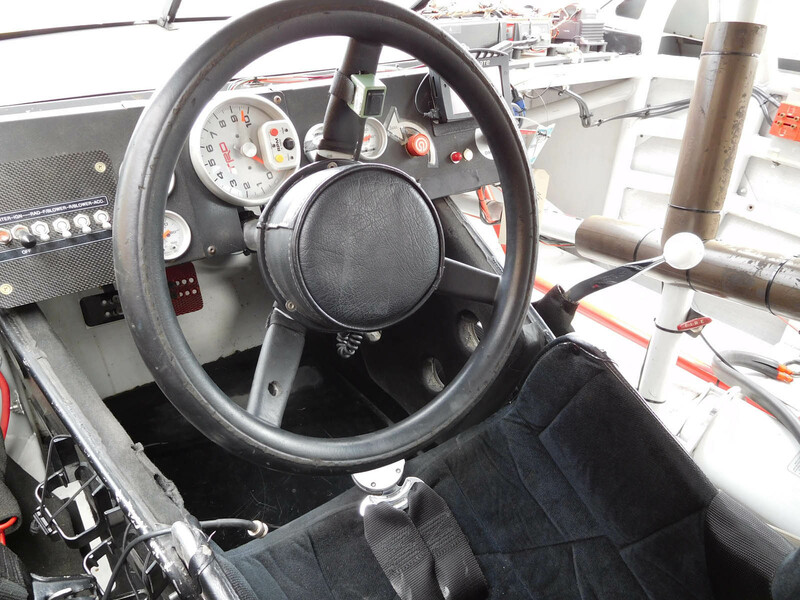 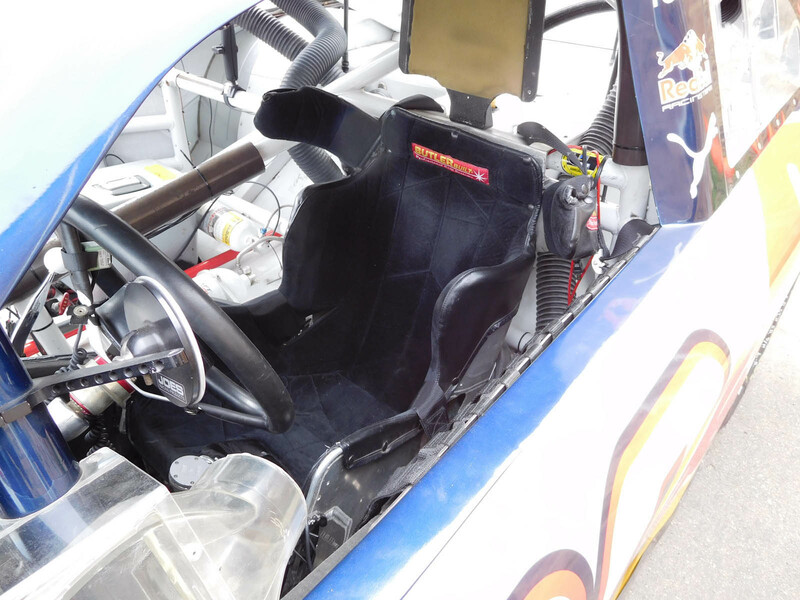 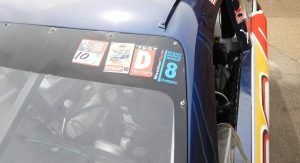 Even with audiences dwindling, stock car racing is still one of the most popular spectator sports in America. 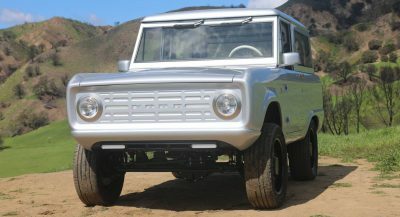 But why watch it when you can own one of these primitive yet powerful beasts for yourself? 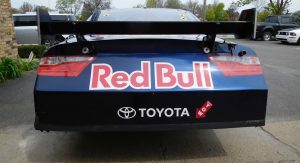 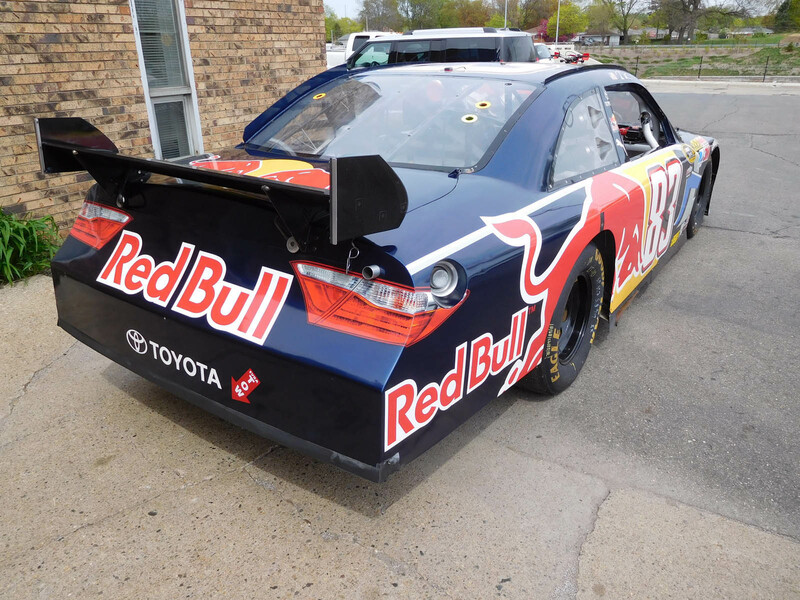 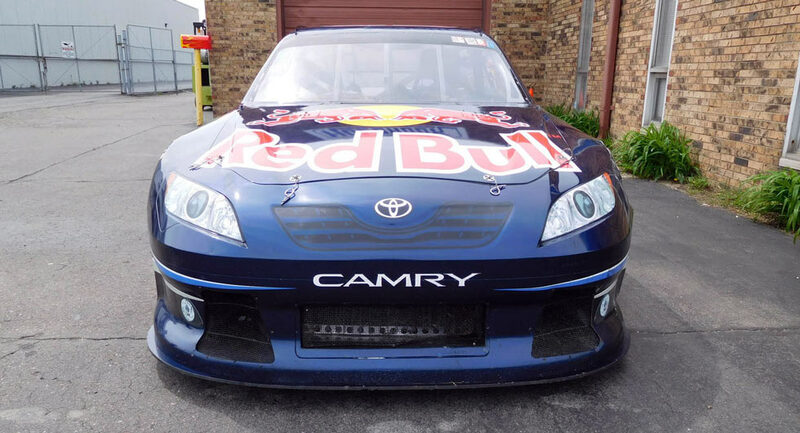 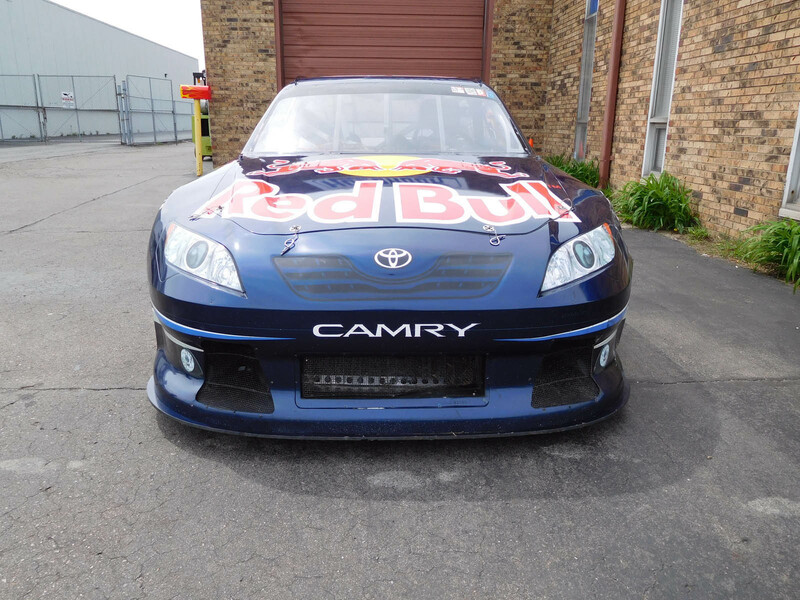 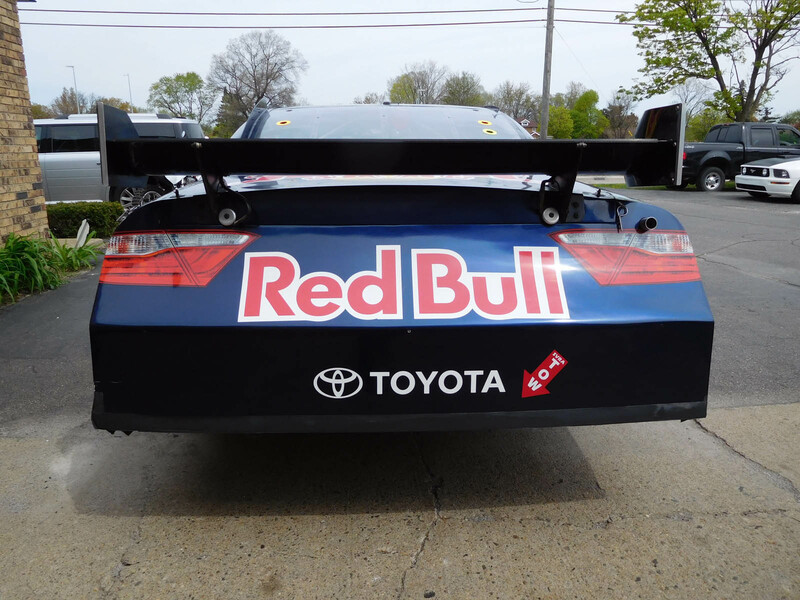 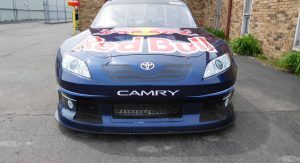 Up for auction this weekend in Indiana is a Toyota Camry – but not just any Camry. 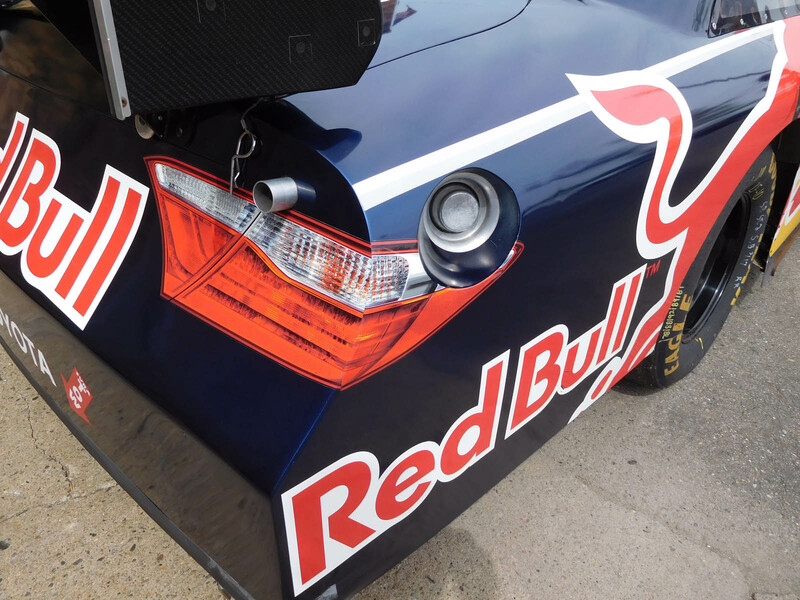 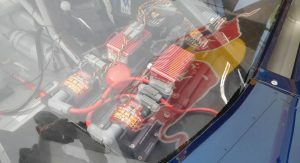 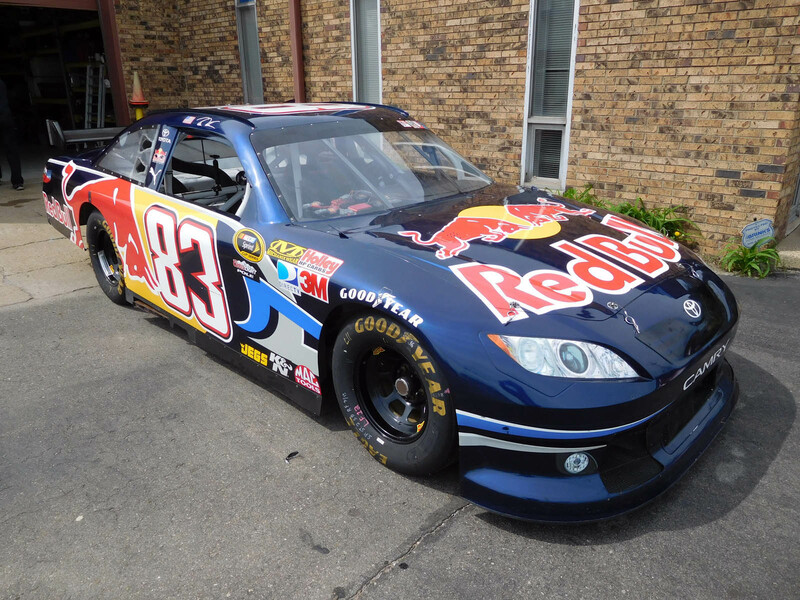 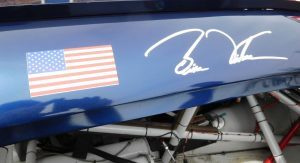 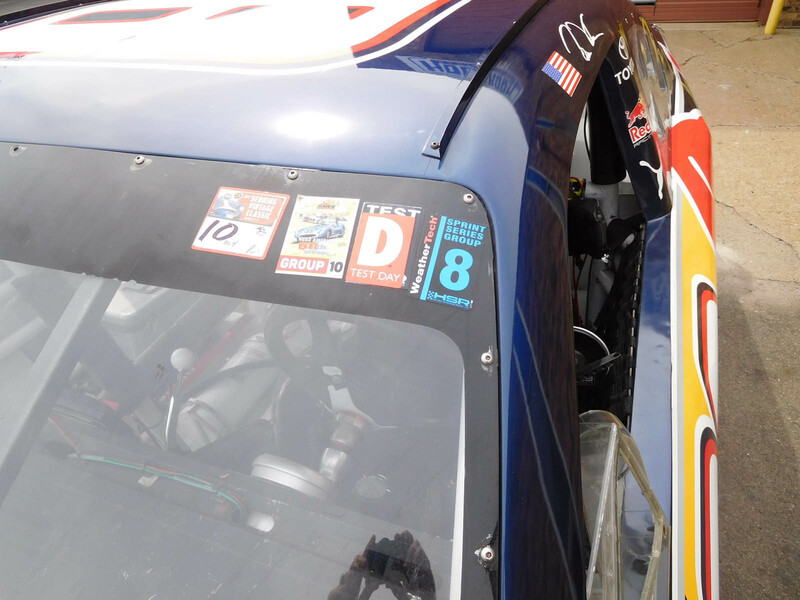 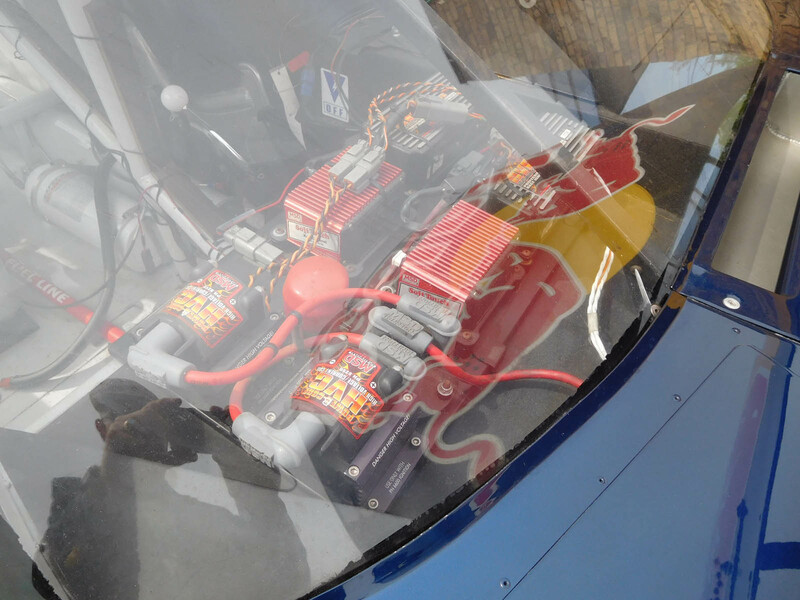 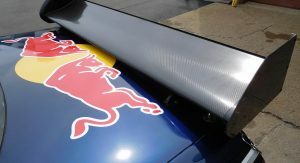 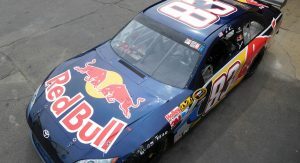 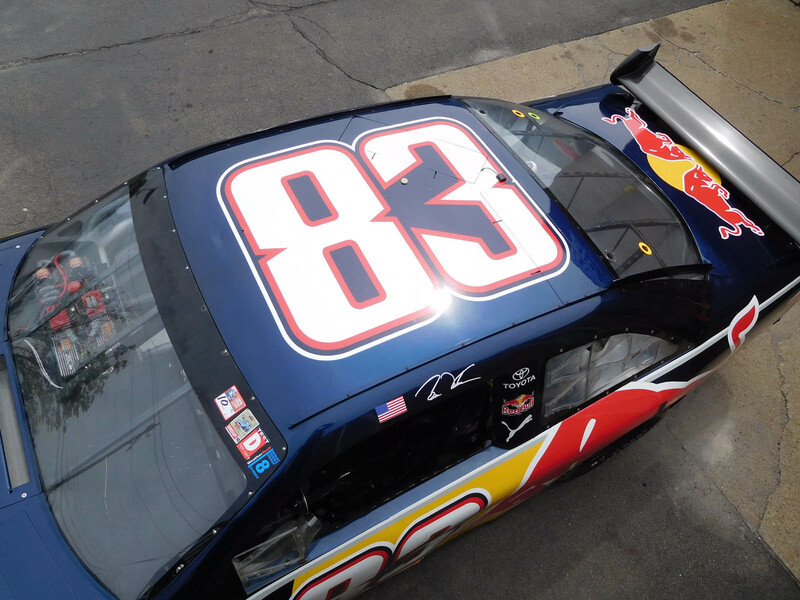 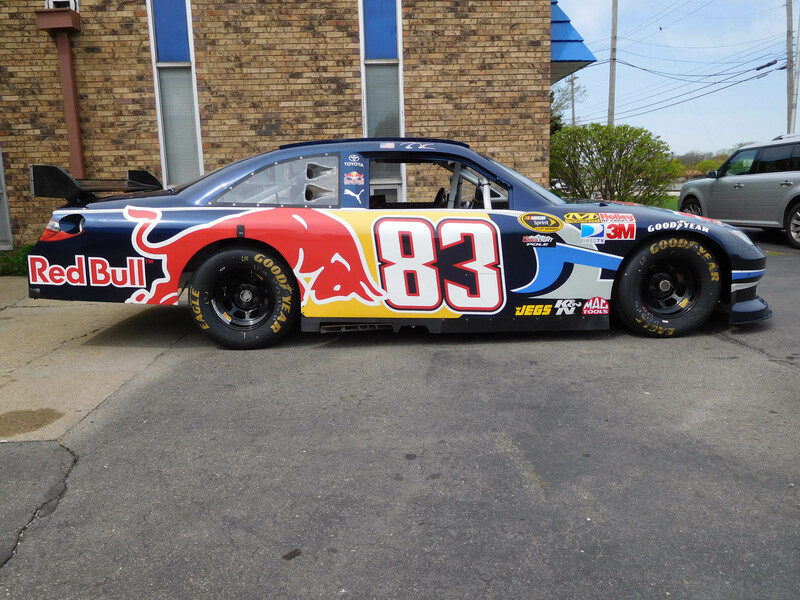 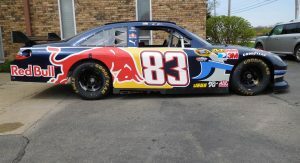 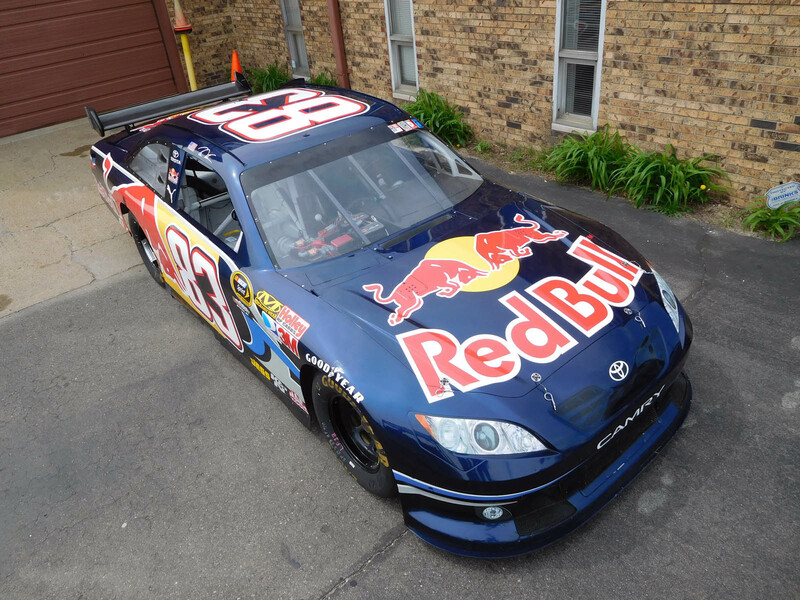 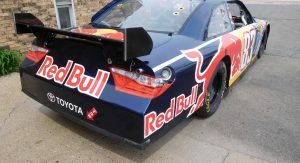 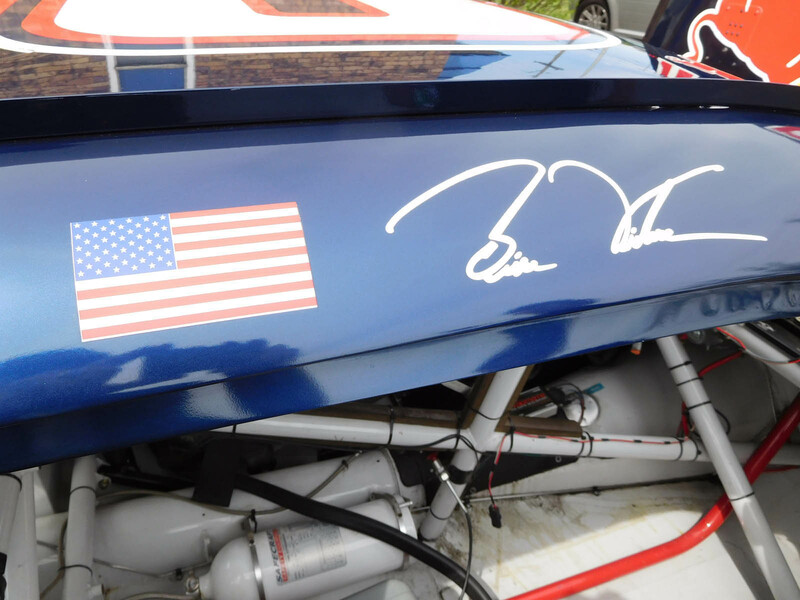 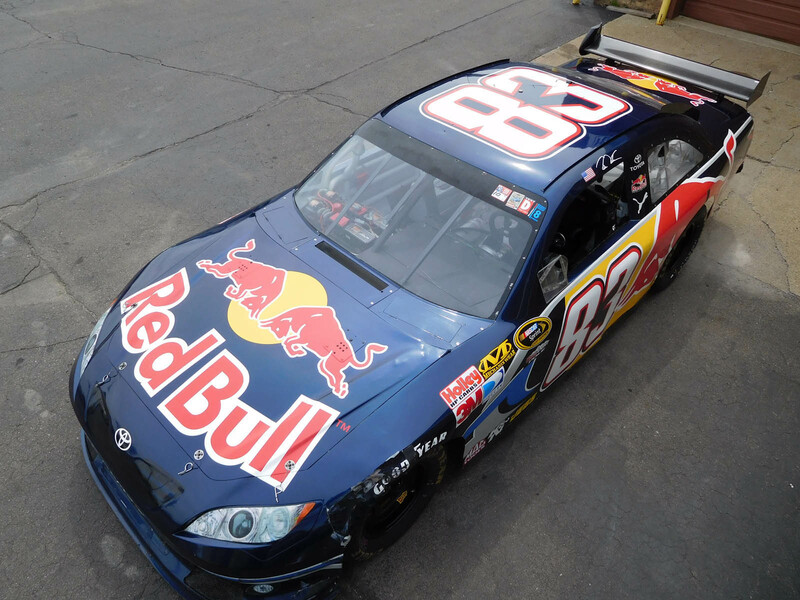 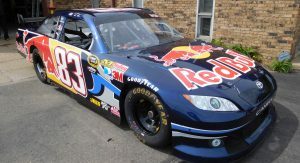 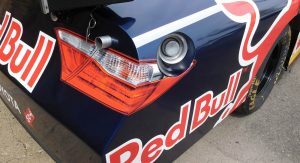 This is the #83 Red Bull car that Brian Vickers drove in the 2008 Sprint Cup, finishing the season in 19th place – outside the Chase for the Cup standings but not entirely unworthy of respect. 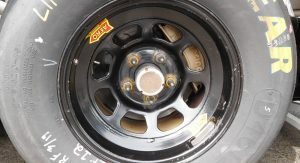 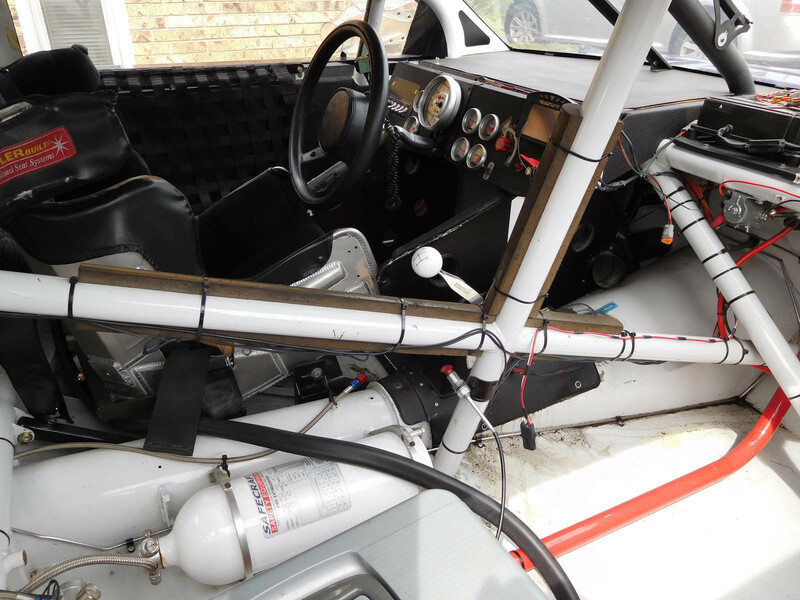 It was built under the Car of Tomorrow regulations that had just been introduced the year before. 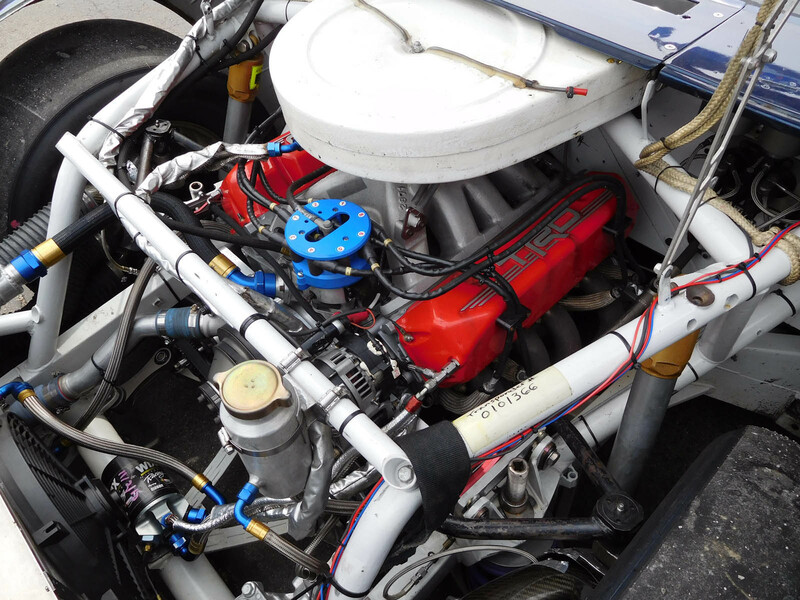 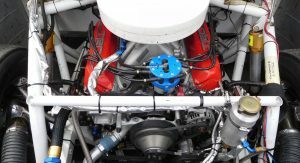 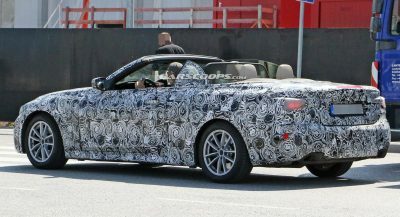 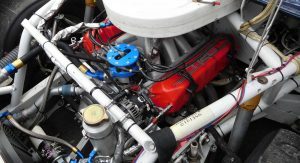 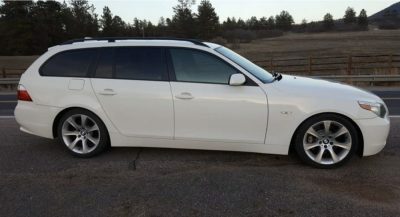 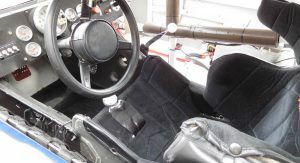 It packs a 5.86-liter pushrod V8 built by Toyota Racing Development and kicking out over 700 horsepower (without the restrictor plate fitted) to the rear wheels through a four-speed manual transmission. 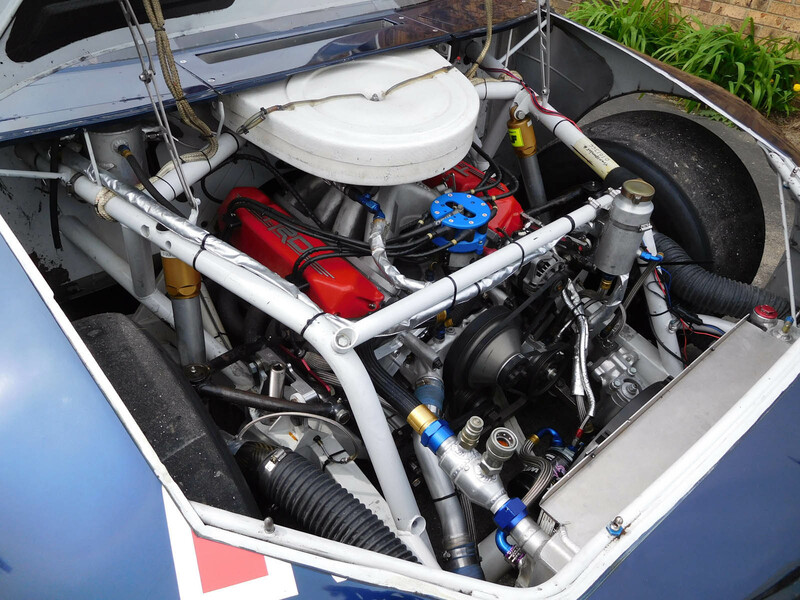 With this body type having been retired in 2012 and the Red Bull Racing Team having withdrawn after 2011, this car was sold to a private enthusiast a few years ago and restored by Gene Felton Racing for use in vintage racing events. 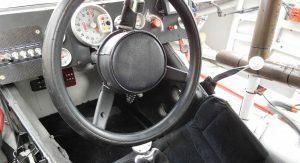 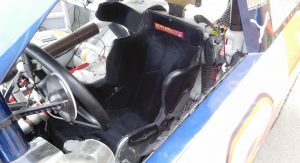 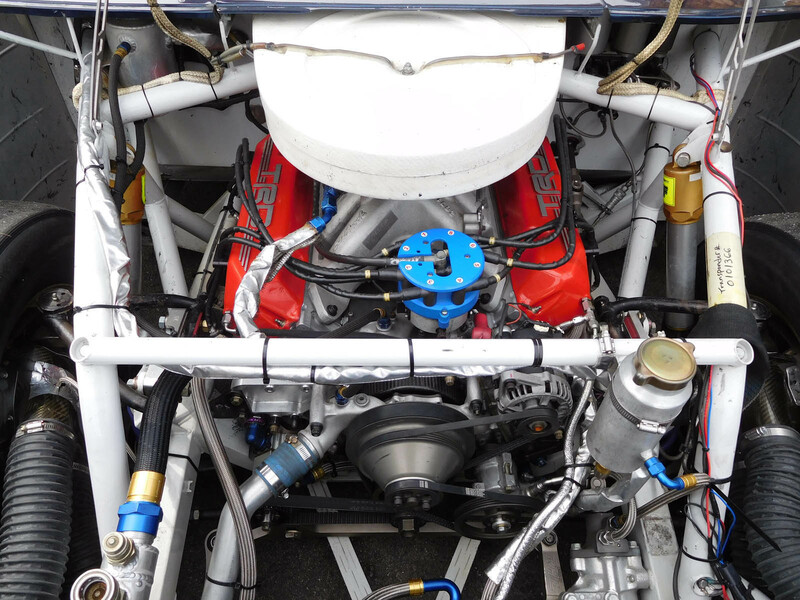 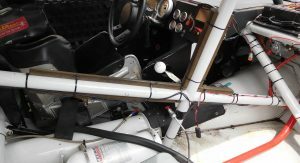 Its suspension and transmission are set up for road courses (like Sonoma and Watkins Glen, which means you don’t need a super-speedway to run it. 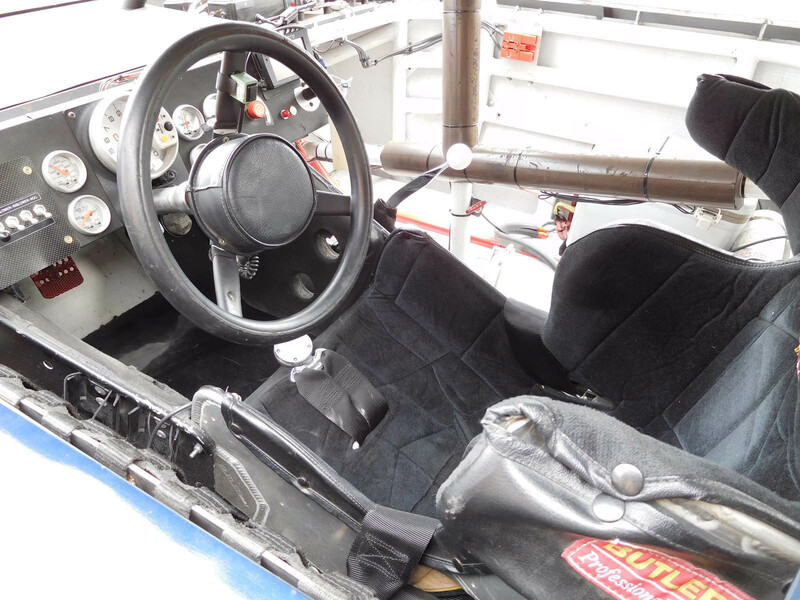 Auctions America expects it’ll sell for $30,000-35,000 when the gavel drops at Auburn Spring.